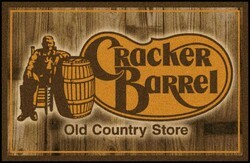 Logo Imprinted 4x6 ft. Entrance Mat has dissipative, non-knitted, static nylon top with rubber backing. 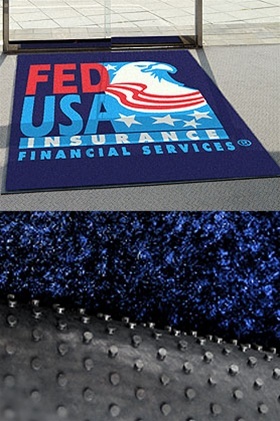 Custom Entrance Mat is designed with anti-curl technology. Logo Imprinted 4x6 ft. Entrance Mat is available in 15 background colors: Black A-1, Brown B-0, Red C-0, Med Red C-3, Royal Blue D-4, Dark Green E-5, Beige G-0, Silver H-0, Soft Blue H-4, Gold Grey H-6, Charcoal I-0, Blue Tan K-4, Navy L-0, Wine M-0, and Dark Purple M-4.